Famous Cryptids: Are They Real? Do you believe in monsters, fairies or supernatural creatures? Around the world, nearly every culture has stories of cryptids: beings which are commonly thought to be made-up stories. Whether it’s the Loch Ness Monster, Bigfoot or the Chupacabra, there’s little evidence to prove whether these famous cryptids do or do not exist. What evidence does exist is usually grainy photographs or accounts of shadowy sightings. While many people believe in their existence, others reject it as simple misidentification and storytelling. Cryptozoologists search for evidence of their existence, while mainstream science insists their existence is impossible or implausible. 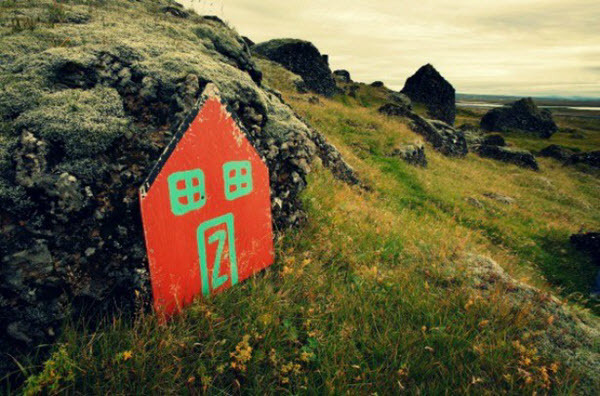 According to one survey, more than half of all Icelanders believe in the existence of elves. The legendary Huldufólk or invisible elves are nearly indistinguishable from humans. Their behavior and appearance are nearly identical to people, but their height maybe anywhere from a few centimeters to 3 meters (10 feet) tall. The invisible elves are quiet and peaceful, keeping to themselves so long as their lands aren’t threatened. In contrast, the Huldufólk are territorial. They will lash out and disrupt construction and development that threaten their land. When something breaks down or goes sideways on a construction site, many think the invisible elves are to blame. In the early 18th century, so the story goes, a mother of 12 learned she was pregnant with her 13th child. Upon learning this news, the women cried out, “May it be the devil”. Her wish came true 9 months later when she gave birth to a beast that would become known as the Jersey Devil. Description of the Jersey Devil alludes to a kangaroo-shaped figure, with the horns, bat-like wings, and forked tail often attributed to the devil. 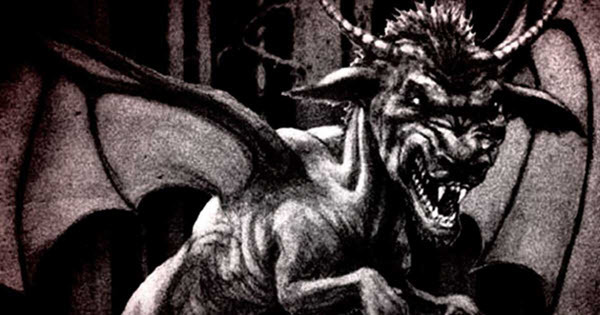 The Jersey Devil might have the head of a goat, horse or possibly a dog depending on the source, but he always has terrible claws hands and cloven feet. Don’t believe in the Jersey Devil? Reports say that the Philadelphia Zoo took it seriously enough to offer a $10,000 bounty to anyone who could capture the horrifying beast. Many searched the Pine Barrens of southern New Jersey, looking for the legendary monster. Unfortunately, no one was able to catch it. In the forests of the Great Lakes region, from central Canada to Minnesota, First Nations and Native American tribes tell stories of the same monster. The Wendigo, a shapeshifting monster that eats human flesh is known in the legends of the Algonquin, Cree, Innu, and Naskapi. The giant can grow to as tall as the tops of the trees. It has a heart of ice, matted fur, a lipless mouth, and jagged yellow teeth. 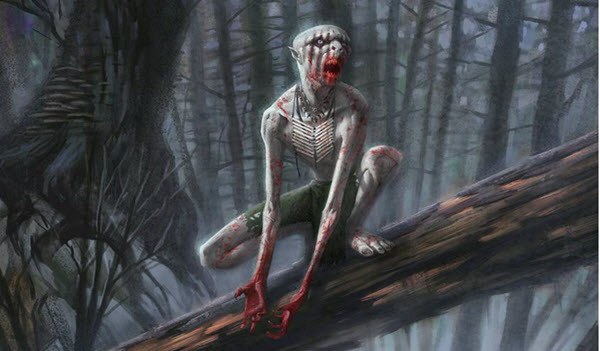 The Wendigo possesses people and uses them to hunt down their family and friends. Its skeletal frame and ill-fitting skin denote its constant state of hunger. Each time it eats, the creature grows larger and therefore, more famished. Probably the most famous cryptid, the Loch Ness Monster, is a giant sea monster. Believed to live in Scotland’s Loch Ness, it first appeared in 1933 after several sighting and photographs. People believe it resembles a large dinosaur. The Black Shuck, a large, black dog is said to roam the English countryside. Its ghostly form is believed to be an omen of death. Harry Potter fans may recognize a version of the Black Shuck known as the Grim. Whether or not you believe in these famous cryptids, their effect on popular culture cannot be denied. From movies and TV to a museum dedicated to strange creatures and psychic phenomena, everyone loves a spooky story. In fact, in the 1930s, taxidermists grafted deer antlers onto jackrabbits, creating the image of a jackalope that persists in stories even up to this day. Belief in the paranormal goes far beyond the existence of cryptids. More than half of Americans believe in psychic phenomena, extrasensory perception, and spiritual healing. The CIA even launched a program to investigate remote viewing and its possible uses for intelligence gathering. The post Famous Cryptids: Are They Real? appeared first on Dumb Little Man. You’d better believe Tiffany Haddish would be quite alright existing in space. The Girls Trip star and Saturday Night Live favourite joined Jimmy Kimmel for a cocktail and “Three Ridiculous Questions” on Thursday night, one of which was whether or not she would do well in space. Warren Bachman, a 72-year-old Iowa soybean farmer, is one of many who turned Clarke County into Donald Trump country, as the Republican president took 61 percent of the votes in 2016 in a county that went for Democrat Barack Obama four years earlier.